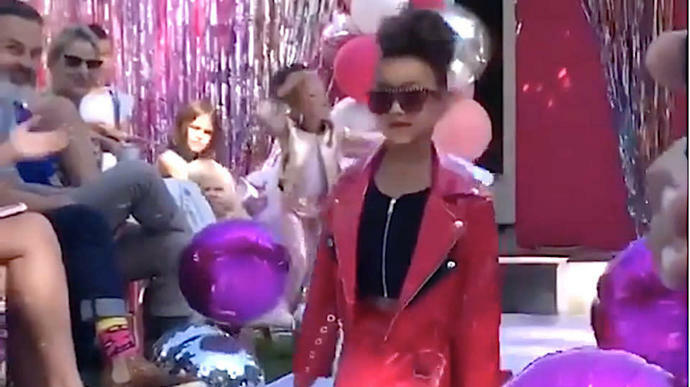 North West, the 5-year-old daughter of reality TV star Kim Kardashian, aced her runway-modeling debut on Saturday at a fashion show for the L.O.L. Surprise toy brand, Harper's Bazaar reported. "North is completely obsessed with L.O.L. Surprise already, so when we found out there was going to be an L.O.L. Surprise BIGGER Surprise Fashion show, she absolutely had to be involved," Kardashian said, according to People. The event marked the launch of the L.O.L. Surprise 'Bigger Surprise' line, but the runway clearly belonged to North. "She loves to dress up like her favorite characters, so it was so exciting for her to actually become a real-life L.O.L. doll," Kardashian said.